But Lanza was ill prepared for the adulation that greeted his first two films, That Midnight Kiss (1949) and The Toast of New Orleans (1950), together with his chart-topping single "Be My Love," which sold nearly two million copies in the USA alone—an extraordinary feat for a classical artist. To develop properly, Lanza needed the strictest of artistic environments—working with the best conductors, musicians and coaches--all the while learning and perfecting his art. Hollywood could provide none of this. In the fanfare and glitter of the celluloid capital, Lanza would never be able to find the peace and solace--let alone the time required—for the study of new repertoire. The astonishing commercial success of Lanza's third film, the tenuously biographical The Great Caruso, in 1951 only added to his problems. Music critics were now beginning to attack Lanza, questioning his "right" to portray Caruso in view of his limited stage experience. Absurd rumors began to circulate, including claims that he was unable to sustain an entire opera, that his voice was too small for the stage, and that he made his recordings in small pieces. His stylistic lapses were also regularly dissected: "Lanza shouts," "Lanza over-emotes," and so forth. 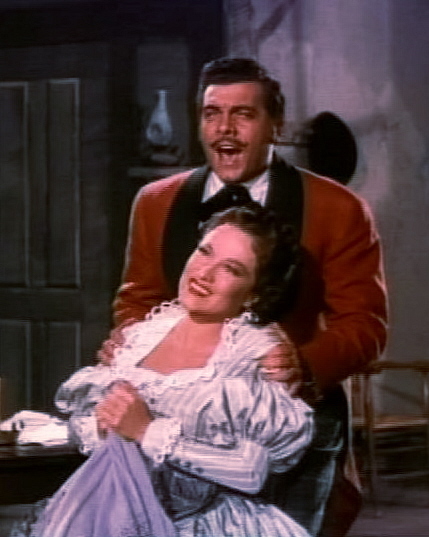 Critics such as John Freestone of Gramophone—who had previously hailed Lanza as a singer "worthy of serious consideration"—began adopting a patronizing approach to reviews of "the film star's" recordings. Unable to accept that any serious singer could possibly be so popular, critics increasingly dismissed Lanza as an unworthy operatic contender. 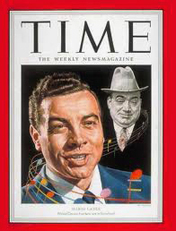 Time Magazine also joined the fray in an anonymously written 1951 cover article that not only criticized Lanza’s singing style and smugly predicted his vocal demise, but mocked his weight problem, intellect and personal habits. Ad hominem attacks by other magazines and tabloid newspapers thereafter became a regular event. For a man who was deeply sensitive beneath the outward bravado, the negative publicity must have been devastating. 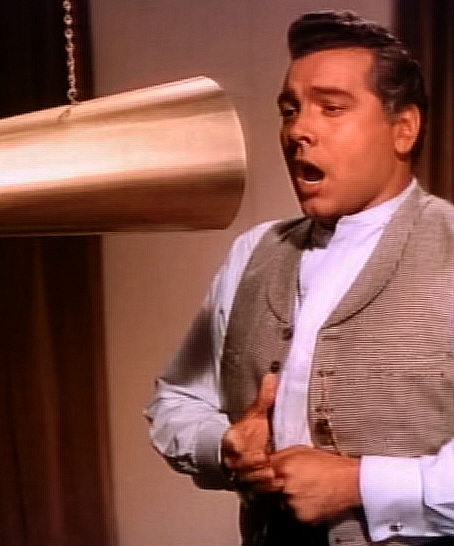 I can think of no other tenor, before or since Mario Lanza, who could have risen with comparable success to the challenge of playing Caruso in a screen biography. . . . It was Lanza who made the film a success. While the crowds idolized him, the experts and purists insisted that he was a far cry from the real thing that he had no right impersonating the great Enrico Caruso, that he was no more than a gifted amateur who never learned to sing properly. In my opinion, this was a facile and unfair dismissal. 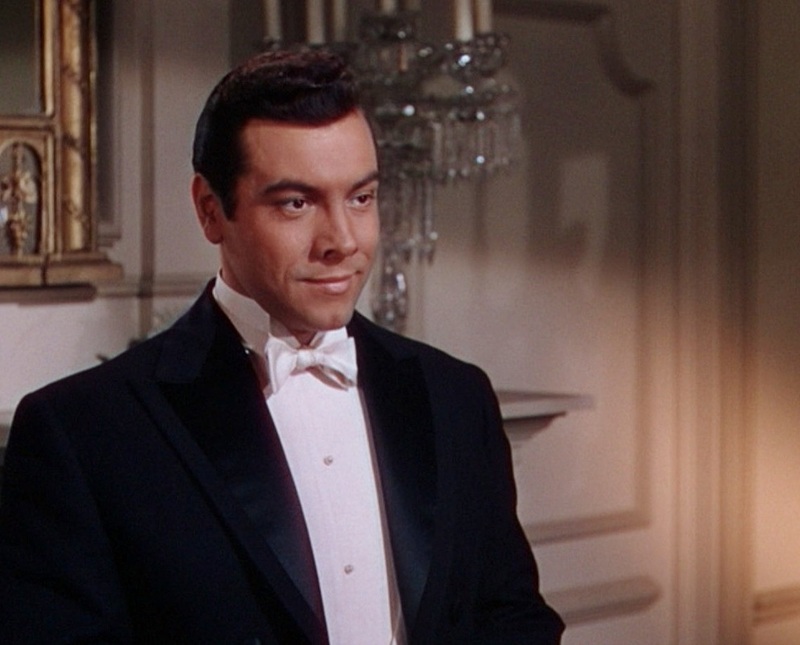 Mario Lanza was born with one of the dozen or so great tenor voices of the century, with a natural voice placement, an unmistakable and very pleasing timbre, and a nearly infallible musical instinct. His diction was flawless, matched only by the superb Giuseppe Di Stefano. His delivery was impassioned, his phrasing manly and his tempi instinctively right. All are qualities that few singers are born with and others can never attain. 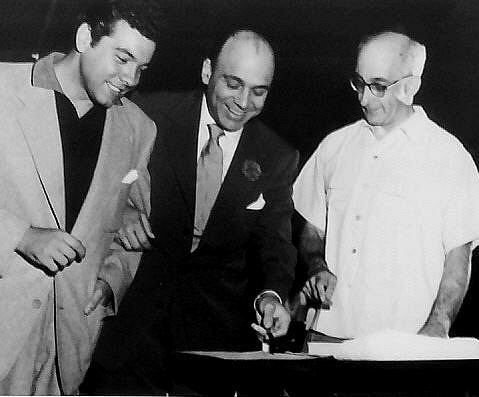 For a time Lanza continued to perform in public, receiving the type of adulation previously reserved for Frank Sinatra and other non-classical performers. His 1951 concert tour of the United States was considered an unprecedented financial success for an operatic singer. However, the greater artistic challenge of returning to the opera stage continued to be postponed. 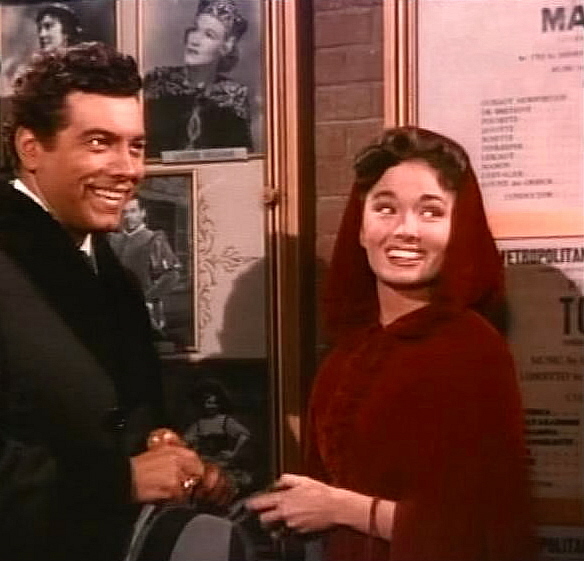 Meanwhile the tenor was exposed to increasing skepticism and criticism from serious music critics, some of whom dismissed him as merely "a film singer." He was in truth as insecure as it is possible for a human being to be. He knew that God had intended him to be a great operatic singer. . . . Had he been already a leading tenor, if not the leading tenor at the Met, and come to Hollywood in between seasons to make a picture, he would have had the Met as his home. The invitation to sing there is a frightening compliment. [But] I want to go to Italy and start, not at La Scala, but in the smaller opera houses first, singing in a variety of roles to opera addicts. . . . I should work up in opera, and then I will feel qualified to say yes to the invitations from the great opera houses. Closer to home, Gaetano Merola, Music Director and Principal Conductor of the San Francisco Opera, also offered him the role of Chénier, convinced that Lanza had the potential to become another Caruso. On this occasion, performances were tentatively scheduled for October 1950, but Lanza later withdrew, pleading other commitments and the approaching birth of his second child. "I'm only 29," he reportedly told Merola. "There is lots of time." In my opinion, Lanza, with the possible exception of Bjoerling, had the greatest voice of his time. His singing could move people to tears and, in my presence, frequently did. His Hollywood experience undermined his inner security, which is why he avoided performing in public. I would venture that if he had not gone to Hollywood he would, at least for the beginning, have had a major operatic career. Such was Lanza's insecurity by now that he did not sing again on the concert stage for over six years after his record-breaking tour of 1951. (He did, however, perform live on one memorable occasion in October 1954 on the CBS television program Shower of Stars.) The ousting of MGM Studio Head Louis B. Mayer in 1951 only added to his problems. Lanza had enjoyed a congenial working relationship with the avuncular Mayer, whose decision to allow the making of The Great Caruso had been opposed by other MGM executives on the grounds of its supposed lack of commercial appeal. 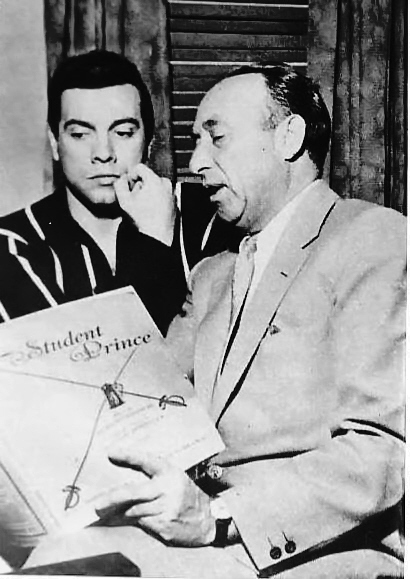 Following a protracted dispute with Schary in 1952 during the pre-production period of his next picture, The Student Prince, Lanza was dismissed by MGM after he had already recorded the musical soundtrack. To the tenor's dismay, MGM subsequently filmed the picture with another actor (Edmund Purdom) lip-synching to his prerecorded vocals. During the same period, Lanza also endured the double blow of near-bankruptcy arising from a number of bad investments made by his then-manager, Sam Weiler (1910-1995), whom he subsequently dismissed. (Their parting of ways was especially painful for the tenor given his previous trust and genuine fondness of Weiler.) Pursued by the IRS for $250,000 in back taxes, and with his film career now in tatters, Lanza retreated from public view, and increasingly sought refuge in alcohol. In no position—either physically or emotionally—to contemplate a return to the operatic stage, his career essentially came to a standstill from July 1953 until September 1954, when he made the first of two television appearances on CBS's Shower Of Stars extravaganza.